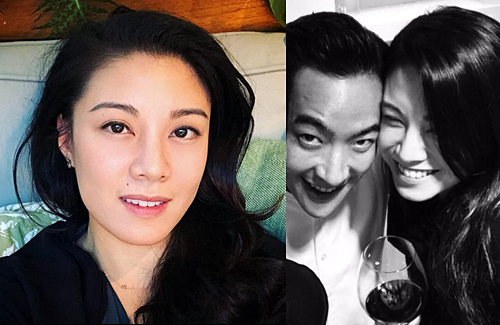 Admitting dating 40-year-old insurance CEO Calvin Lo (盧啟賢) in March, 39-year-old Bernice Liu‘s (廖碧兒) romance was destined to be troubled from the start. While dating Bernice, Calvin was unable to have a clean break with ex-girlfriend, Thai heiress Nina Bencharongkul. Although Bernice trusted Calvin and continued to defend him, the couple ultimately broke up. Tabloids claimed that Bernice’s romance with Calvin was just a smoke screen, distracting others from her secret four-year marriage with French vineyard owner, Charles Cazes, which has ended in divorce. The pair was romantically linked together in 2014 and Charles had alleged gifted Bernice with a multi-million-dollar vineyard in France. Bewildered by the recent reports, Bernice cleared up the rumors on Instagram. Although she denied ever being married, Bernice admitted that her relationship with Calvin has ended. I have a much better opinion of Bernice after watching one of her interviews on YT. Whatever she does, she does it based on her interest and feelings at the time. She’s pretty simple & straightforward. So I don’t doubt that mismatched expectations is what led them both to break up. Hope she freezes her eggs before it’s too late though. Why is there news about Bernice? She hasn’t been relevant for years. @anon She’s been gone for years and need to create news to stay relevant! Poor thing… hopefully things went well for her soon. She was using these 2 men to get the most $$$. 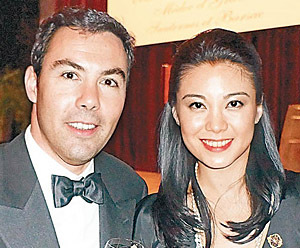 The moment HK press revealed her secret marriage to Charles, she announce the breakup with HK tycoon the same day to save her marriage and the winery she was given. How convenient! @debbie1979 Worse of all, she tries to blame it on the the tycoon when she herself was secretly married for 4 years!!! Conveniently, she got signed to play a lover in a new drama. She must have gained a lot of experience being married herself and still looking for someone rich HK tycoon. I thought she broke up with this guy a few months ago, or is this a different guy? So confused. @elizabeth Obviously she is using Calvin to cover up her marriage and in the same time create news for her own benefit. You seem to really hate Bernice. Time may tell if any of this is true.